Found a pretty surprised recipient in me. 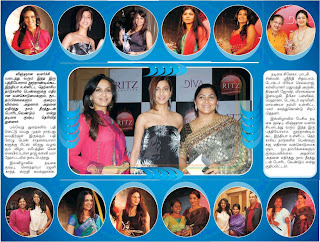 The thing is, the lady who put this together, Aruna, editor of the Ritz probably deserves an award too. Bringing together all these powerful women requires humongous effort. When someone says Editor of some publication, the mind somehow conjures an image of a lady who is in her 40s or more. Aruna looks like it has not been too long since she passed out of college. The event was hosted by Cary Edwards and Craig. I have read about their stand-up comedy acts in the city at regular intervals. Always wanted to go but never did. Yesterday was a pretty good Promo of what they are capable of doing and decided that no matter what, I ll find myself in their next show. For some reason, I was at a total loss of words when I said a hi to Mrs Srinidhi Chidambaram and babbled for whatever joy. One point where I wished that the earth would open up and swallow me. The event however did not start on time and that gave enough for Sneha and I to catch up. We have almost always run into each other at such Do-s and it has not been more than the usual courtesies. There would not be much time. Yesterday she gave me an introduction to her sense of humour. I was giggling almost all of the time. And also left me wondering that she looks like such a doll in person and that daintiness I think, has not been captured on screen at all. I wonder why the camera makes someone look larger than life. A while later Soundarya Rajnikanth walks in just seconds after Shruti Haasan and they sit together. Imagine Soundarya Rajnikanth and Shruti Haasan in the same frame. Time stood still and the media had a field day. Time had given me the opportunity to get acquainted with Soundarya. She has a rare élan, very affable, and I think she will be quite someone that a lot of people will look up to in the years to come. I wish I had had the chance to be acquainted with Shruti too. I have heard of her band and intend to catch her perform in the city someday. Khushboo was the the one received the award at the finale and informed the gathering about an 8 year old girl married off to a frog in some remote village and its time that every woman stands up and does her bit for the girl child of tomorrow. That this place will be safer and more secure. I am unable to capture the spirit and fire that her short address carried but then I have always been bad with reported speech. The earlier recipients of the evening did not have the opportunity of an acceptance speech somehow. I wonder if it was by choice. More than anything else, it was a brilliant opportunity to meet almost all these women and say a hello. It was a lot of fun. And as I had said yesterday I really hope to be able to achieve half as much of the collective achievements by all these wonderful women. God willing. And almost all the awardees (except Lavanya Nalli and Dr Priya Selvaraj) are in this picture that someone sent me. Kudos and Congrats. this is truly a well deserved honour. And envious of Ms.Aruna, the editor's prospect, for havin bin able to acknowledge ur personality wid a recognition as valuable as this award, at d place f which, i now hav only words! As i said once to u wen i had called u to Aahaa FM, u r truly an inspirational person! And it wud b nice if all f u recepient women wud b able to come 2gether 4 endaevourin a cause! P.S: CUD NOT GRAB A COPY HERE IN D UK. CUD U POST A PIC OF UR RECEIVIN THE AWARD PLZ! congrats Chinmayiii....may more success and awards follow you. Thanks a ton for postin the photographs! Humbleness is d one single quality tat comes across in all ur images! Congrats Congrats Congrats. U well deserved it! And u look awesome in the pictures :) Luv ur suit. 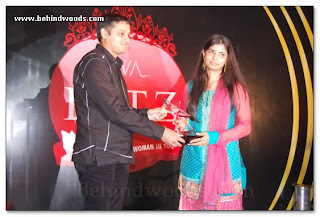 Congrats, chinmayi.. u deserve it..
Modesty is the key for the success of many legends in any field. And you have plenty of it in you. You richly deserve the accolade. You are a multi-talented personality who deserves more than this award. Congratulations! It is really nice to see how you regard everyone in high esteem (be it your co-awardee or technicians who work with you or your co-singers). Please continue this attitude and hope you achieve greater heights! U look natural + beautiful!! It's rare to get that combination! Saw this post just now. 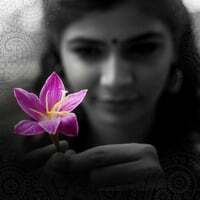 Congrats Chinmayi! Very happy for you. It's cliche to say this, but it doesn't mean any less: You ARE amazing and you truly deserve this award.